ASA is a professional organization to which many acoustical experts belong. Citizens Committee for New York City stimulates and supports self-help and civic action to improve the quality of life in NYC and its neighborhoods. The world's best collection of environmental sound art. GREEN TEACHER is the only North American magazine for teachers, and parents who want to promote global and environmental awareness with kids. Full of inspiring ideas and advice from successful green educators, GREEN TEACHER offers everything from visionary perspective to ready-to-use activities and handy reviews of new resources. Institute of Noise Control Engineering of the USA, Inc. Noise control engineering professional society. Noise Control Engineering Journal is the refereed journal of the Institute of Noise Control Engineering of the USA, Inc.
Radio production and nature recordings. Sound and Vibration Magazine is the magazine for Acoustic Professionals in the fields of noise and vibration control. Sound & Vibration Magazine is a magazine for acoustic professionals. This book is an extremely detailed amd comprehensive reference book on Tire and Road noise. Both of the Authors have been involved in the study of road & tire noise for almost thirty years. Nature sound recordings and books. Benson Medical Instruments Co. develops and manufactures audiometers and software for OSHA/MSHA hearing conservation compliance. Non Profit charity supporting hearing research, provides hearing aids to needy children and adults. Quest Technologies, a 3M company, is a manufacturer and world leader in the field of occupational safety, industrial hygiene, and environmental instrumentation with its excellent sound level meters, audiometers and dosimeters. Noise diagnostic software, systems, and services providing 3D mapping of noise sources. 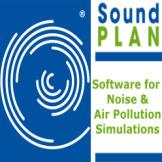 Noise and air pollution assessment and mapping software. Test for noise problems; design and build solutions. Research and consulting in acoustics and vibration.